Insufficient ‘demand’ for toilets and better sanitation is one of the key stumbling blocks in improving rural sanitation in India, and indeed, in many parts of the world. Sanitation is both, a public good and a merit good in economic terms. The latter means that sanitation (toilets) is something that one has to spend money and effort on, but the health benefit received is not always apparent, or even immediate. Therefore even if it is ultimately beneficial, it may not be considered a priority. What is worse is that a lack of sanitation has also causes pollution – which means that your decisions affect not just you, but your neighbors too, and also people who live downstream from you. Creation of that ‘demand’ for toilets and sanitation is vital if one is able to secure the ‘supply’. Crudely, one can think of the supply in terms of adequate availability of water, of financial resources and the space for construction. One of the underlying theories behind the deployment of the Total Sanitation Campaign was that a financial incentive could trigger that demand for toilets, making them a little more affordable for low income populations. TSC 2.0, the Nirmal Bharat Abhiyan, broadly diagnosed one of the programme’s problems as having too small a financial incentive for households, and stepped up the incentive significantly, also tapping into the funds of the rural employment guarantee scheme MGNREGA, to aid toilet construction. While financial incentives may be necessary (although many disagree! ), they are far from sufficient. The state and the Total Sanitation Campaign did recognize this, and have always had Information, Education and Communication (IEC) as a part of the programme, which has continued into the Nirmal Bharat Abhiyan. The total IEC cost is capped at 15% of the total budget, which includes the institutional structure of the Communication and Capacity Development Units (CCDUs) set up at the state level to support field level work. Professional communication and advertising has done wonders for several other fields and products, many of which we take for granted. For example, dental hygiene proponents may be struggling to get people to floss today, but the fact that everyone brushes their teeth daily in the morning is no accident. Rural India is ripe for disruptive innovation that can change behavior in sanitation, through communication which harnesses the underlying motivations and aspirations of individuals and creates a genuine demand for toilets. Examining & Assessing Different Structures of Communication & Capacity Development Units (CCDUs) in the Rural Water Supply &Sanitation (RWSS) Sector; 2009, TARU. Sanitation generally refers to the provision of facilities and services for the safe disposal of human urine and feces. Inadequate sanitation is a major cause of disease world-wide and improving sanitation is known to have a significant beneficial impact on health both in households and across communities. The word ‘sanitation’ also refers to the maintenance of hygienic conditions, through services such as garbage collection and wastewater disposal. About 577 million people in rural India continue to defecate in the open, living in households that do not have toilets. That is a full 69.3 percent of India’s rural households in 2011. Adequate sanitation requires the provision of multiple facilities and services, as well as the knowledge of hygienic practices. 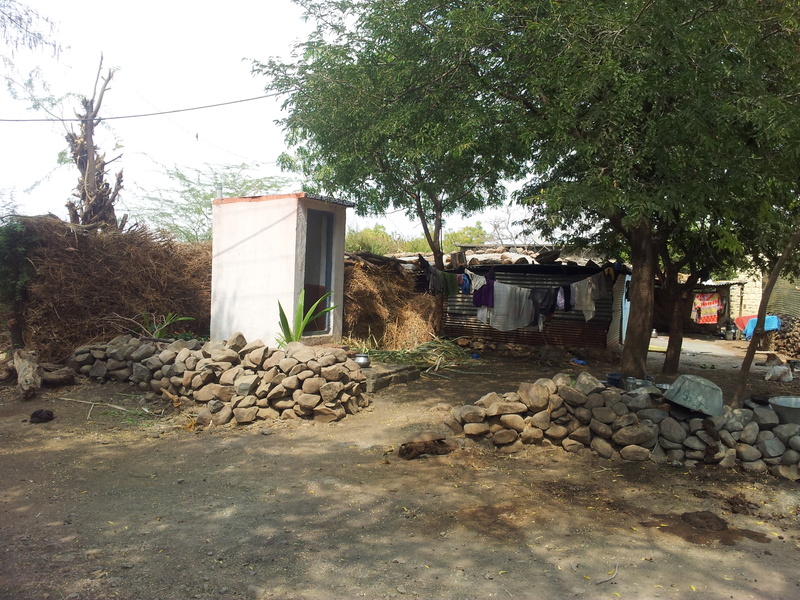 Much of rural India, as the numbers tell us, is yet to build and use even a basic toilet. While hygiene and the disposal of waste after the toilet are important concerns, promoting the construction and use of toilets remains the largest concern today in much of rural India. To promote toilet construction in villages, the Government of India has been running the Total Sanitation Campaign since 1999, which was revised and renamed as the Nirmal Bharat Abhiyan in 2012. 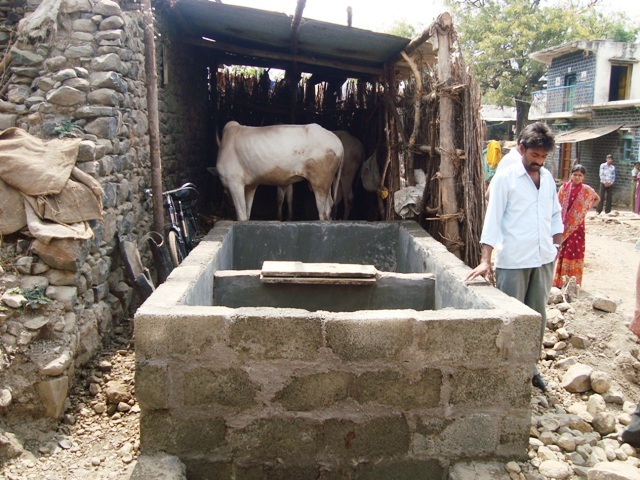 The scheme provides subsidies to households to construct individual toilets. By means of the subsidy, along with cash incentives for village leaders and communication campaigns, the government has tried to promote toilet construction and the need for adequate sanitation for over a decade now. The government programme, along with growing incomes and other changes that took place over the decade, only managed to push up the number of rural households having toilets from 21.9% to 30.7% between 2001 and 2011, an increase of a little under 10 percentage points. Several large, richer-than-average states have also performed poorly, including the South Indian states including Tamil Nadu, Andhra Pradesh and Karnataka. Of the increase that has been seen in toilet construction, it is anyone’s guess as to how many are being used regularly, and by all members of a household. Programmatic problems such as inadequate subsidies, red tape and corruption have all plagued the total sanitation campaign, but it is highly unlikely that these factors alone explain the lack of improvement in toilet construction. A key missing ingredient seen across much of the country is a lack of demand for toilets and for good sanitation.